Enjoy 1 night bed and breakfast with 4 course dinner from our table d'hote menu in the Cellar restaurant and entrance ticket to the newly opened Seamus Heaney Homeplace. Includes use of the leisure facilities. Entrance tickets to the Seamus Heaney Homeplace will be available for collection from the Homeplace box office and can be used during your stay on either Sunday or Monday. 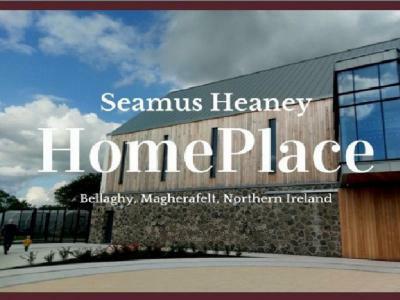 For more details on Seamus Heaney Homeplace visit www.seamusheaneyhome.com.